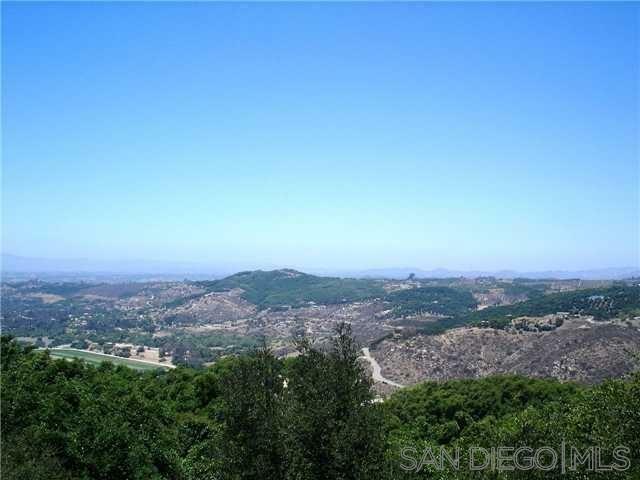 GORGEOUS AVOCADO GROVE IN UPSCALE BONSALL COMMUNITY. WELL MAINTAINED AVOCADO TREES. PRIVATE NEIGHBORHOOD WITH SEVERAL MILLION DOLLAR PLUS CUSTOM HOMES. PARCEL ACCESS OFF CUL DE SAC AT THE END OF AVENIDA MIL FLORES. SEPTIC LAYOUT COMPLETED WILL NEED UPDATE- WATER METER INCLUDED- ELECTRIC ON POLE ON FRONT OF PARCEL. PANORAMIC VIEWS FROM MOST OF THE 13 ACRES. EXCELLENT LOCATION. FANTASTIC BONSALL SCHOOLS. ENTER THROUGH THE SAN LUIS REY GROVES GATE ON CAMINO DEL REY. Courtesy of Hanson Real Estate, Inc.